When you are looking to finance a car, you want to work with someone you can trust, that is honest, and that can get you a good rate that won’t get you in over your head on monthly payments. 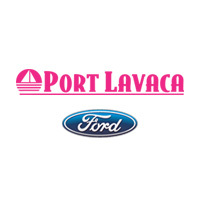 Here at Port Lavaca Ford, our job is to get you the right car and the right loan. With absolutely no pressure in our finance offices, and we simply focus on what is best for you. But what makes us so successful? We truly care about our clients. We’ve been around for many years, and plan to be here many more! It is important to us that we have happy long term clients that know and trust us. We are willing to do what it takes to earn that trust.